Everything has a meaning and everyone has a story. 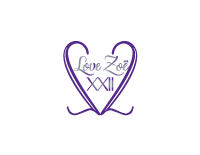 At Love Zoe 22 our name, “Zoe” means “Giver of Life”. Transform your outfit by purchasing the hottest accessories from Love Zoe 22 and give your outfit life! We are always in search of new, talented, fashion savvy ambassadors. Please feel free to contact us if you are interested in joining our team as an ambassador or as a designer. Life is funny. Sometimes things don’t work out as planned. If you are not happy with your Love Zoe 22 purchase, we will gladly refund your purchase within 14 days of your original purchase (minus shipping fees). Your item must be unused and in its original packaging. Please include a copy of your receipt along with a note stating the reason for your return. Your refund will be credited within 14 days of receipt. We recommend that you track your package since we are not responsible for lost packages.